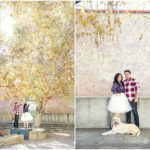 Old Town Pasadena Engagement Session. Pasadena is mostly magic. I loved spending time in Old Town Pasadena with these cuties. I could not get enough of their sweet pup, just LOOK at that ear! 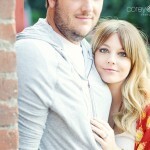 Cannot wait for their spring wedding!